Whistler suddenly shot to fame like a meteor at a crucial moment in the history of art, a field in which he was a pioneer. Like the impressionists, with whom he sided, he wanted to impose his own ideas. Whistler's work can be divided into four periods. The first may be called a period of research in which he was influenced by the Realism of Gustave Courbet and by Japanese art. Whistler then discovered his own originality in the Nocturnes and the Cremorne Gardens series, thereby coming into conflict with the academics who wanted a work of art to tell a story. When he painted the portrait of his mother, Whistler entitled it Arrangement in Grey and Black and this is symbolic of his aesthetic theories. When painting the Cremorne Pleasure Gardens it was not to depict identifiable figures, as did Renoir in his work on similar themes, but to capture an atmosphere. He loved the mists that hovered over the banks of the Thames, the pale light, and the factory chimneys which at night turned into magical minarets. Night redrew landscapes, effacing the details. This was the period in which he became an adventurer in art; his work, which verged on abstraction, shocked his contemporaries. The third period is dominated by the full-length portraits that brought him his fame. He was able to imbue this traditional genre with his profound originality. He tried to capture part of the souls of his models and placed the characters in their natural habitats. This gave his models a strange presence so that they seem about to walk out of the picture to physically encounter the viewer. By extracting the poetic substance from individuals he created portraits described as “mediums” by his contemporaries, and which were the inspiration for Oscar Wilde's The Picture of Dorian Gray. Towards the end of his life, the artist began painting landscapes and portraits in the classical tradition, strongly influenced by Velázquez. 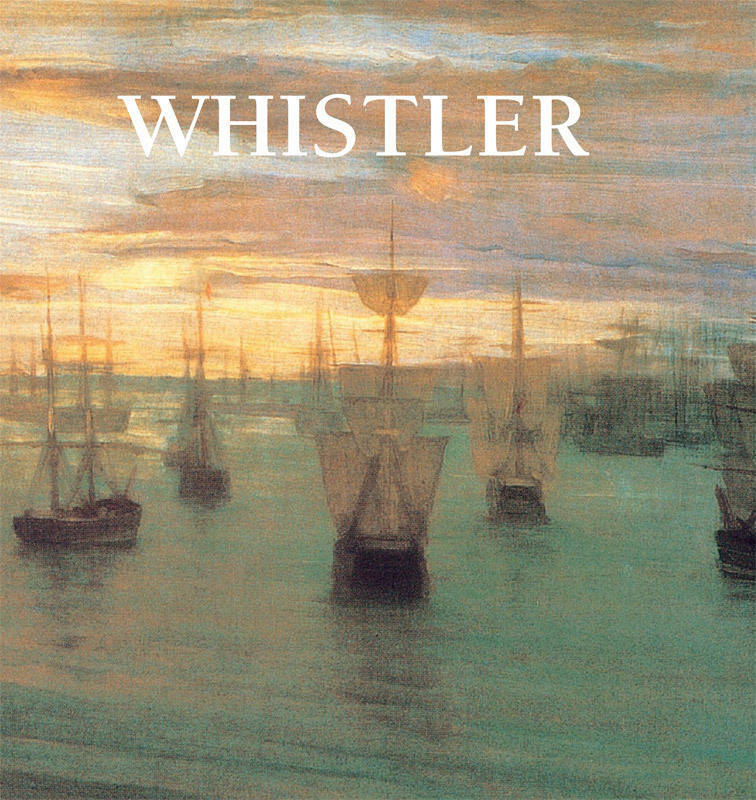 Whistler proved to be extremely rigorous in ensuring his paintings coincided with his theories. He never hesitated in crossing swords with the most famous art theoreticians of his day. His personality, his outbursts, and his elegance were a perfect focus for curiosity and admiration. He was a close friend of Stéphane Mallarmé, and admired by Marcel Proust, who rendered homage to him in A La Recherche du Temps Perdu. He was also a provocative dandy, a prickly socialite, a demanding artist, and a daring innovator.